The famous Oxbow Bend of the Snake River from above. Autumn is an amazing time to photograph the splendor of the golden aspen that sprout prodigiously around the river. The traditional place to shoot the Oxbow is along the river, this mountain above provides a fresh angle on this iconic spot. 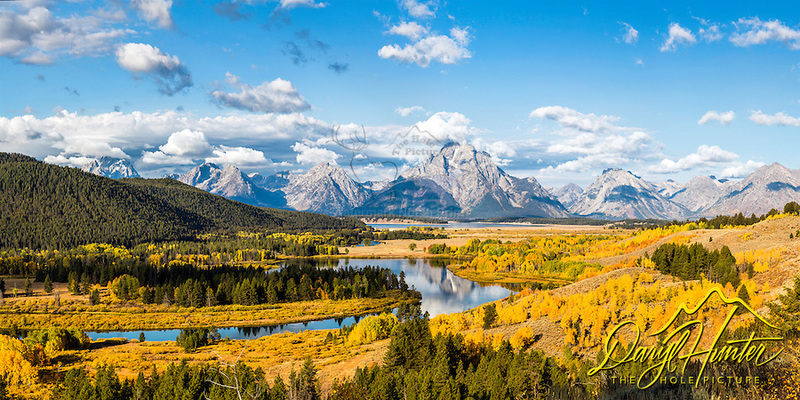 This is a large file and can be printed at a 2X1 crop, six feet wide at 150dpi.